Mondays make me tired. Sundays are loooooong days for this introverted pastor’s wife. And Mondays are busy days, too. And the time change is killing me…. So, I’m really looking forward to tomorrow….b/c Tuesdays are my stay-at-home day 😀 However, today’s redeeming factor: sunshine, lots and lots of sunshine and the kids got to play outside all afternoon after school. Spring is comin’ and Summer is around the corner! 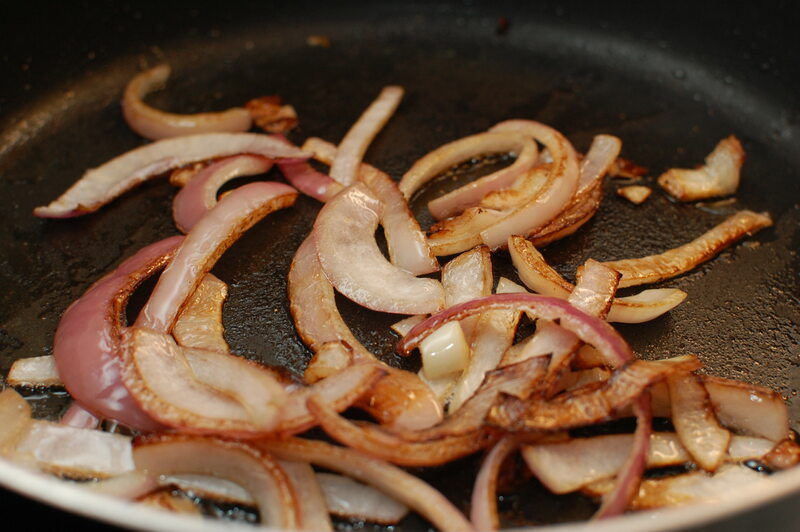 In a medium bowl, mix vinegar, lime juice, sugar, salt, pepper, onion powder, and garlic powder. Marinate sliced chicken in sauce for at least an hour or up to overnight. When ready to eat, heat large skillet over high heat. Drain off marinade. Brown & cook chicken until no longer pink. (This is best accomplished with small batches at a time). 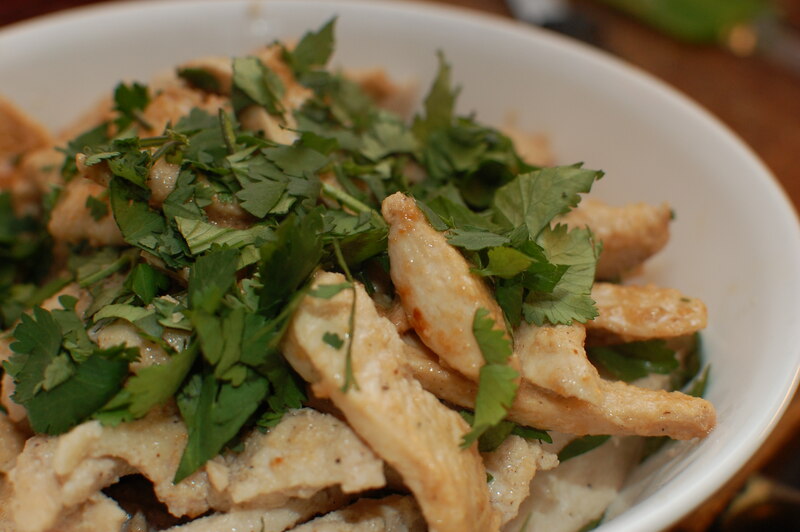 Once all chicken is cooked, add chopped fresh cilantro. 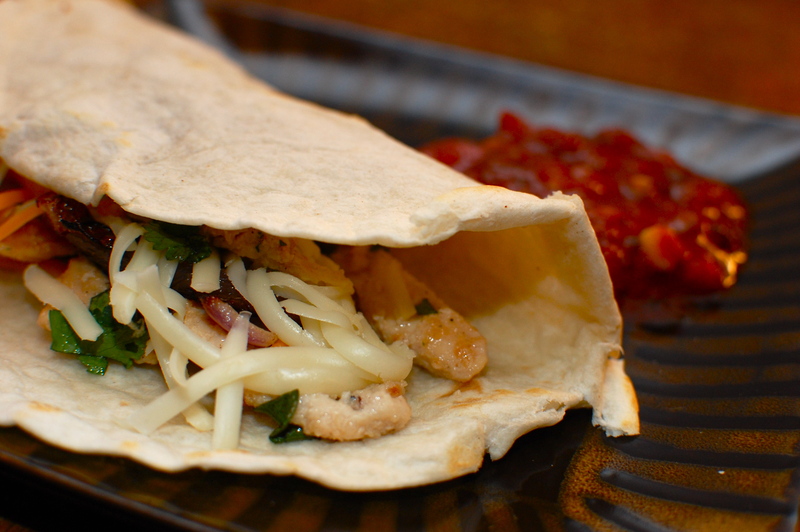 Serve with warm tortillas and favorite toppings. I sauteed these up before I browned the chicken. 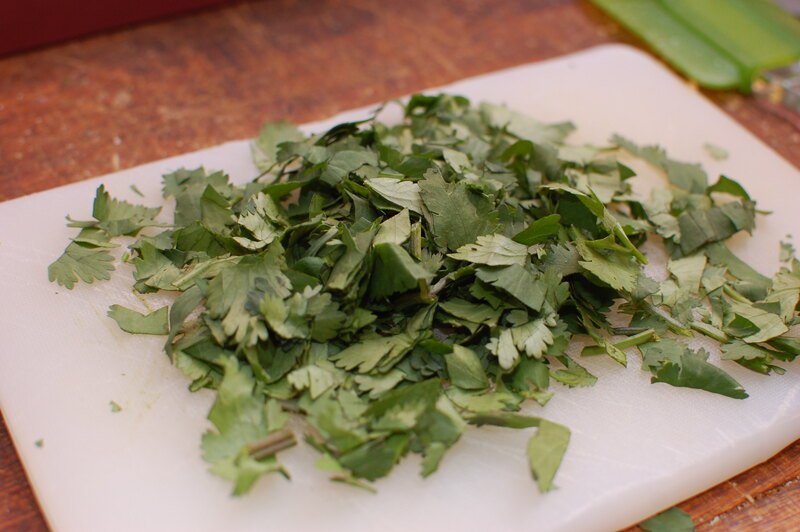 I find fresh cilantro beautiful. 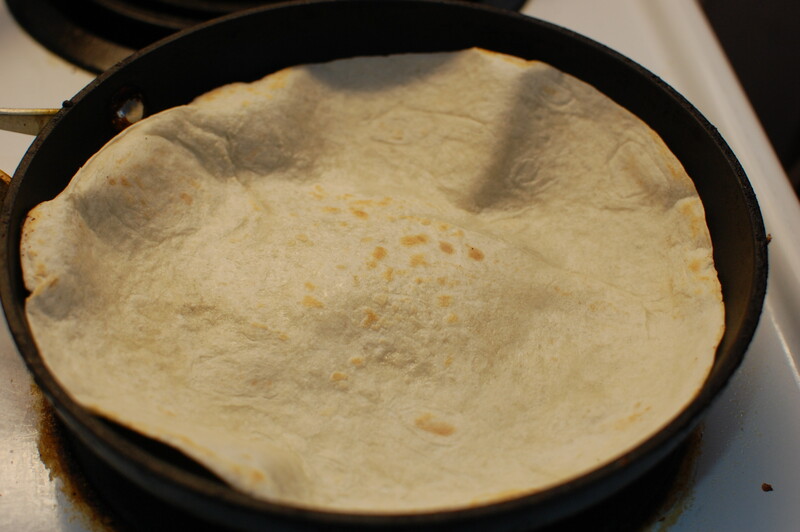 My favorite way to warm up tortillas. Trust me – this is as yummy as it looks! Put it all together….ohhhh my.